Thanks to our expertise and our monetization solutions, we accompany you in theoptimization of your multimedia products. With an area of R & D ultra competent and highly qualified we bring you all the advantages for your digital development. With 48 employees and 4 offices around the world, Euro First Multimedia brings you an opportunity of your multimedia product to international development. Lock & Pay ® is a process that allows to block access to some programs engraved on a DVD making this accessible part to only users knowing the access code. 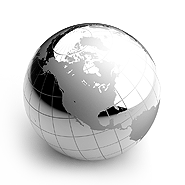 Lock & Pay ® is a patent pending which Euro First Multimedia has acquired the exclusive worldwide license. EuroFirstSecurePay offers you to benefit from easy-to-integrate payment online ultra turnkey solutions. We accept more than 20 means of payment, CB, audiotel, sms, internet + etc... Our solutions are ultra secure and you protect against the risk of fraud. Euro First Multimedia brings you plenty of options for the design, development, monetization and the Council of your e-commerce sites. With expertise and professionalism, Euro First multimedia accompany you up to the culmination of your projects. A Web affiliate and mobile, efficient and innovative, platform , and thanks to a strong network of affiliates and affiliators, Euro First Multimedia allows you to offer your sites in affiliation and this free of charge. Sign your sites for free and access the best tools in the market. Thanks to a responsive and efficient team, we respond to the further expectations of our customers. We customize our work according to the tasks to be performed. Dedicated teams are at your service to provide you with their knowledge and expertise. Do not miss your digital switchover, join us! Thanks to our multiple payment solution, CB, VISA, MASTER CARD, AMERICAN EXPRESS, audiotel, SMS, internet + and another, developed your sites safe. Very easy to install our system you guaranteed against fraud and you lets you concentrate on your core business. With mobile consumption rising very sharply, we offer a wide range of payment for mobile and tablet that will allow you to monetize your smartphone traffic. Easy and quick to install the EuroFirst Multimedia mobile billing solution are among the best in the world. Our solutions for monetizing your video content on the internet, allows you to pay you on shared video. Simple to install and easy a broadcast, we support you in your efforts and your launch. 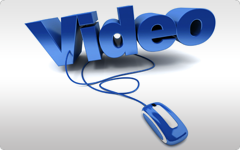 Discover a simple and quick way to monetize the video on the internet. Thanks to our latest-generation centers, we can process hundreds of thousands of call per day. our custom telephone solutions and products a premium payment allows you to customize and monetize your standards. we provide solutions allowing you to achieve traffic. Charge your Web services and Mobile via orange, bouygues, SFR, Free.